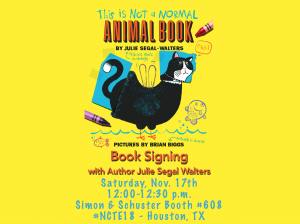 I’m grateful to Tara Lazar for featuring the inspiration behind THIS IS NOT A NORMAL ANIMAL BOOK during Storystorm 2019. You can read all about why and how the book was written HERE! Nothing is more satisfying than giving gifts that make kids smile! Looking for a funny book to share with your favorite young person for the holidays? 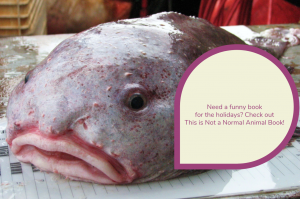 Blobfish recommends This is Not a Normal Animal Book. Available at your favorite local bookstores! 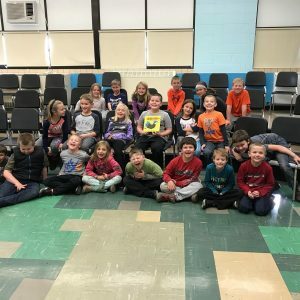 If authors weren’t invited to read and present to kids in school visits (in person and Skype) and story times, I probably wouldn’t write for publication. It’s true! I’d definitely still write, of course. 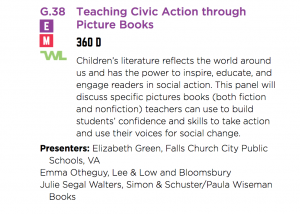 But I wouldn’t write for publication if I weren’t able to experience the kids’ experience of reading the book. One of life’s greatest joys is watching kids read, enjoy, laugh, think, feel, and wonder about a book I’ve written especially for them. And more importantly, the ability to help kids understand and experience reading and writing on a deeper level is the most significant work I do. I can’t wait to schedule more school visits for the 2018-19 school year! For more information, or to schedule a visit, give me a shout! 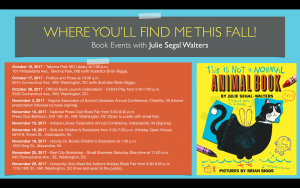 I’m thrilled to share the first of two teacher’s guides for THIS IS NOT A NORMAL ANIMAL BOOK! Written by Pam Brunskill of Authors and Educators, these guides – one for grades PreK-2, and one for grades 3-6 – offer educators a deep look into the language arts, science, and social emotional learning opportunities found in the book. 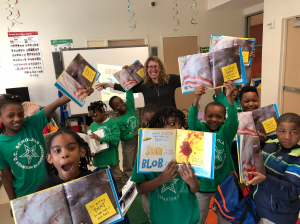 Whether you’re working on animal classifications, writer’s voice, growth mindset and making mistakes, or discerning fake news, these guides provide useful analysis and fun and educational exercises and lessons for you as you explore THIS IS NOT A NORMAL ANIMAL BOOK in your classrooms! Download the Teacher Guide – PreK-2 – This is Not a Normal Animal Book here and the This is Not a Normal Animal Book Teachers Guide Grades 3-6 here! Hello and thank you for checking out my author page! Guess what?! You can now pre-order SIGNED (by BOTH Julie and Brian) books from Politics and Prose, or buy it on Amazon, or request it from your favorite bookseller!